Do you live elsewhere in the country and are looking for fun and frugal activities? 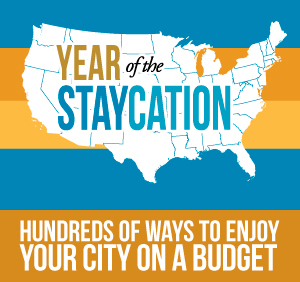 Come back tomorrow for links to Staycation ideas across the country. Metro Parks – Did you know that there are 13 different Metro parks in Oakland county or right nearby. They have tons activities including everything from hiking and biking to swimming and geocaching. The Huron-Clinton Metropark Annual Motor Vehicle permit gives you unlimited access to all 13 Huron-Clinton Metroparks in the five-county Southeastern Michigan region throughout the year for just $25.00! Even though you are staying home you can get that “up north” feeling at top-rated Stony Creek Metropark. The park is 4,461 scenic-acres and has all kinds of outdoor activities. You can spend an afternoon boating or swimming in 500-acre Stony Creek Lake. You can hike, bike, run or in-line skate through lush woodlands, serene wetlands and tall grass prairies. In the winter, you can walk, cross-country ski or snowshoe across marked trails. There is also a winter sports area which includes snowboard, sled and toboggan hills. 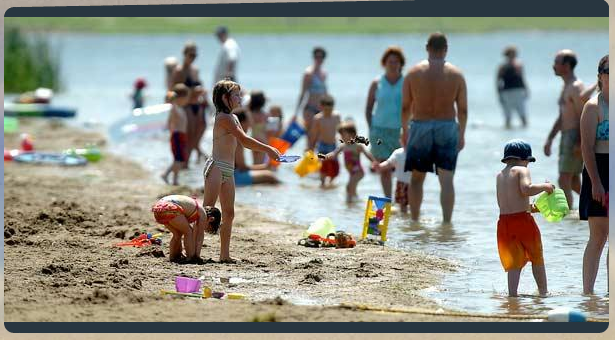 Our favorite is to enjoy a summer day in the water at Baypoint and Eastwood Beaches at Stony Creek Metropark. The beaches are open 10 am to 8 pm throughout the summer, with lifeguards on duty at Baypoint Beach, Memorial Day to Labor Day. There are food bars available but I like to pack a picnic. The Metropark also features a nature center, mountain bike skills course, disc-golf course, 18-hole regulation golf course, baseball diamonds, playgrounds, soccer fields, volleyball and basketball courts. Picnic areas with reservable shelters, grills and comfort stations are located throughout the park. You can enjoy the best of nature and outdoor fun at Stony Creek Metropark. 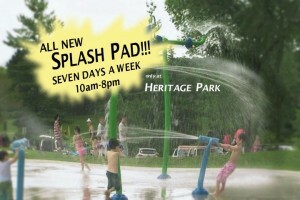 Heritage Park Splash Pad – I have heard great things about this splash park and community park. With its rolling hills, winding nature trails, amphitheater, splash pad, playground and picnic facilities, Heritage Park offers activities for every season. This 211-acre park is home to the Vagnozzi Visitors Center in the historic Spicer House, Nature Center Day Camp, the Heritage & History Center in Farmington Hills and the Longacre House, a community center. The large picnic shelter is open on a first-come, first-served basis, but it may be reserved for a small fee. Michigan Activity Pass – This is a great program is where Michigan residents with valid Library cards will have reduced cost or free access to over 60 arts and cultural organizations across Michigan.This is part of the Michigan Activity Pass presented by The Library Network (MAP) program, a partnership between The Library Network, the Institute of Museum and Library Services, the Library of Michigan Foundation, CultureSource, Michigans 400 public libraries, and arts and cultural organizations across the state. To participate in this program, log into http://michiganactivitypass.info with your Library card number. Then print a pass to the institution you want to visit. Some cultural partners offer complimentary or reduced price admission; others offer discounts in their gift shop or other exclusive offers for MAP pass holders only. Adventure Park of West Bloomfield – Fun in the Great OutdoorsLooking to Zipline in Michigan? Look no further! There’s nothing like a day at The Adventure Park at West Bloomfield! Located in the trees adjacent to the JCC you will find an amazing “aerial forest park.” Experience “adventure in the trees” perfect on your own or with friends, family and parties. Experience “adventure in the trees” on your own or with friends and family. Ages five to adult are welcome! Park It Family Fun Night – Park It evenings consist of an Outdoor Concert, kid’s activities, sponsor giveaways, followed by a family-rated movie under the Stars on our giant LED Video Screen! Check out the schedule of where they will be this summer. A great source for more information is Destination Oakland. They list all kinds of fun family activities throughout the county. Last year we went to Red Oaks Water Park and had a great time. Unfortunately, they no longer offer discounted tickets but $10 for residents is still a great price. Waterford Oaks does still offer discounted tickets. We may try it this year. It looks great too! Free Summer Concerts -The Oakland County Parks and Recreation Commission provides FREE concerts at Addison Oaks and Groveland Oaks county parks. Check out the schedule here. Detroit Zoo – You can’t have a Staycation and not visit the zoo. 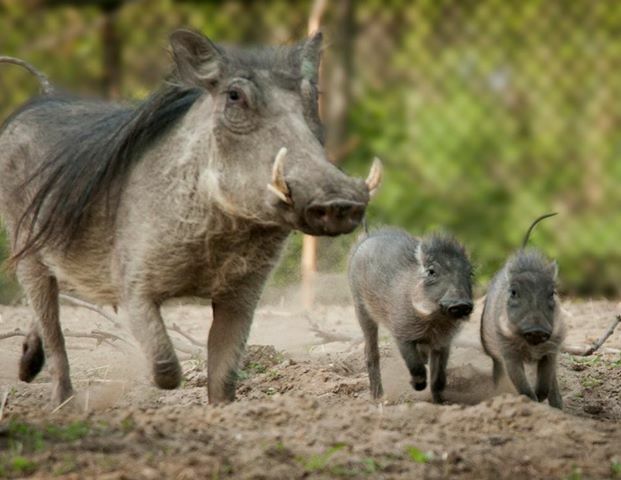 You will want to check out the new warthog piglets that were just born this spring. One of my favorite summer zoo activities though is the The Zoo’s Wild Summer Nights concert series. Performances will take place at the Main Picnic Grove to give concert goers plenty of space to spread out with their blankets, lawn chairs and picnic baskets. A wide variety of food — including burgers, pizza, hot dogs, ice cream, beer, wine and non-alcoholic beverages — will be available to Wild Summer Nights patrons. All performances begin at 6:30 p.m. and conclude at 8 p.m., the Zoo’s closing time. A friend told me that a stop at Taste Love Cupcakes in Royal Oak is a special treat. You can grab some after your trip to the zoo or bring some in your picnic for the Wild Summer Nights concert. Taste Love Cupcakes won the Food Network’s Cupcake Wars. 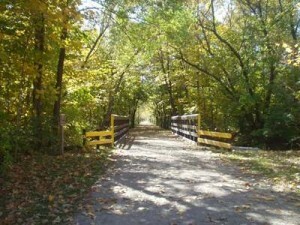 Biking and Hiking Trails – There are bunches of biking and hiking trails in Oakland county. My favorite is Paint Creek Trail. We usually start our ride at Rochester Municipal Park which is has a nice playground, spot for picnics and a friend has even fished here with her kids… catch and release of course. Another way to get stay-cation activities frugally is to watch the daily deal sites. Groupon, Living Social, CBS Local Offers and Deal Chicken often have local activities at 50% off or more. I have seen daily deals for laser tag, bounce play areas, mini golf, tours and more. Be sure to like the Bargain Shopper Detroit page where I will be adding local deals to help you save in the Metro Detroit area. Lots of the activities I mentioned are great if you bring a picnic lunch. 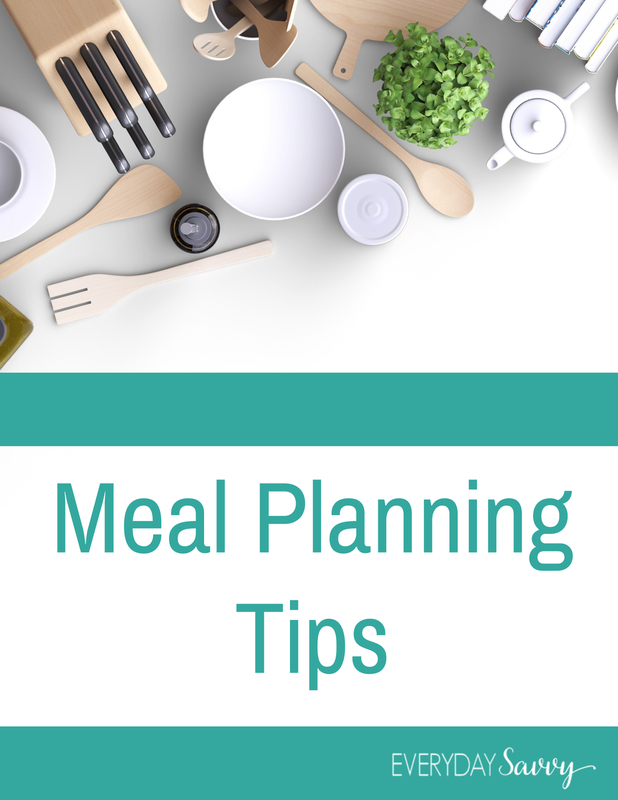 Since it a stay-cation you may want to buy treats your normally wouldn’t from the grocery store to make things special. You can usually grab some great deals on junk food and convenience foods with coupons. Hope you use some of this information to enjoy all the great activities in Oakland county. What are your favorite things to do in Oakland county? Oh my goodness! Those warthog piglets are too cute!! Looks like a lot of fun things to do in Michigan. I’m pinning this post for future reference.